Passive Solar Modern Prefab Off Grid And Old Time Dancing. 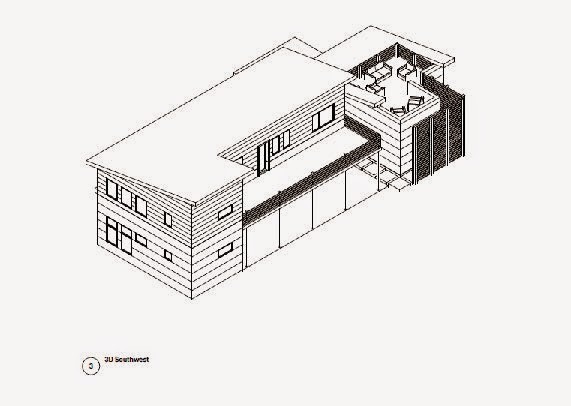 Our family's own off grid modern prefab from Green Modern Kits. 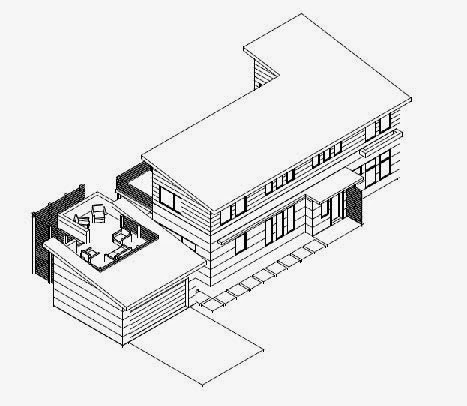 The (unmodified) passive solar modern prefab house The R1 Residential. 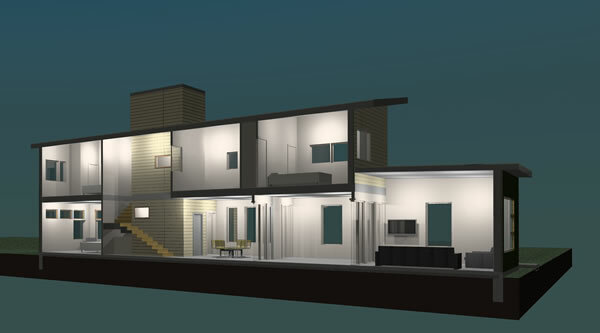 Here is the modified modern prefab R1 Residential, with the R1 Residential Addition, also modified for planning. The ventilation stack was removed to meet historic zoning in the northwest- hopefully this version will pass through the very last planning hearing, which we expect. The hearing will be in March, at which point I will have another update! 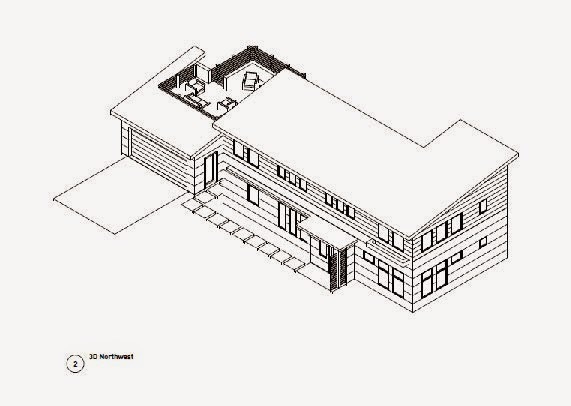 I have also been busy this week on potential Dogtrot Mod modern prefab house projects in the south *and* northwest. I'll keep you posted on those if they happen. This week has been filled with prefab project meetings! The people involved are great, this part of the planning projects is always fun for me as we all get to know each other and learn about each individual homesite where a prefab house will reside. Speaking of winter, we traveled to Richmond and here is what I observe when we visit: I am freezing. We are in an adorable 1920s foursquare with the old awesome radiators, yet... once you live through winters in a SIP house, where the structural insulated panels maintain temperatures and have no draft... oh you notice when you are in a "regular" house...! ...but we warmed up quickly with dear friends, and fantastic old time music! It is great to travel to the city to see family and friends. This week, while inspecting the Pips latest trail, we came upon an old discarded Colt 45 from hunters long ago... and within it, an ecosystem! We removed the trash from the woods and now that trash-terrarium is... modern art.